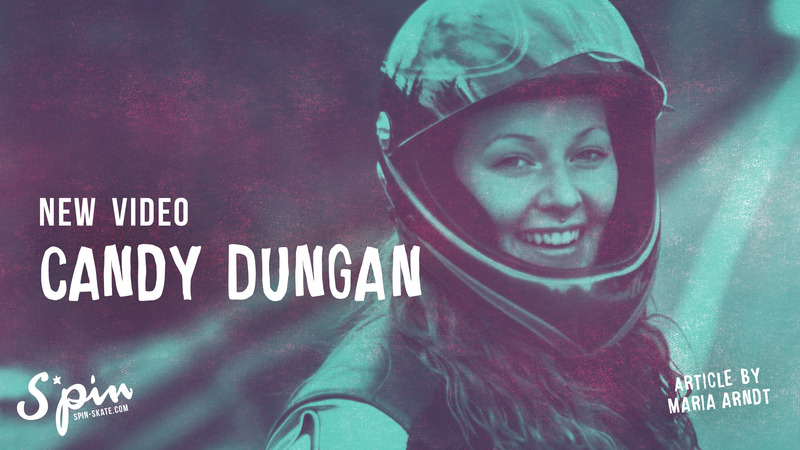 First if you haven’t seen the latest video of Candy Dungan, make sure you do! That video gives you goosebumps! 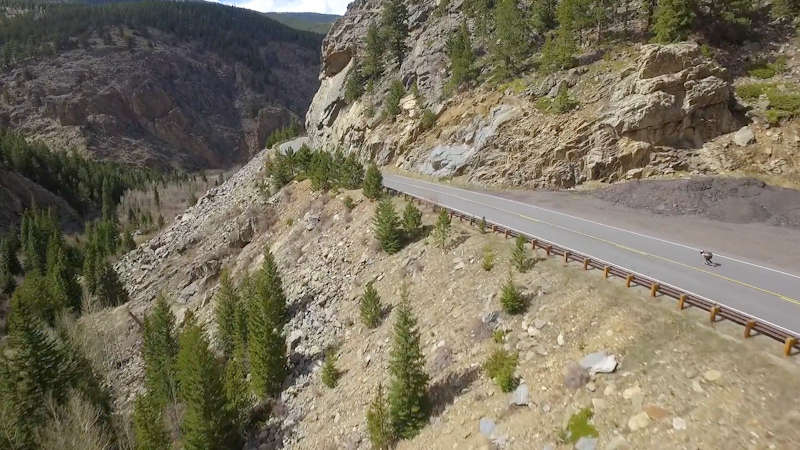 She slays Colorado’s finest and reaches speeds over 70 mph. As GIRL is NOT a 4 Letter Word said, “They don’t call her Candy Bombing for nothing.” Tune in on repeat for FAST skating, breathtaking scenery, and some serious female badassery. Candy progressed a lot the past month and this season she just started IDF racing at the Killington Throwdown, the Mahackamack 400 and the Whistler Longboard Fest and placed straight second in the IDF’s Women Class in the North America Rankings 2016 right after Emily Pross, first at the women’s world ranking and 5th open World Rankings! Seems like downhill skateboarding got some boost, a natural, an inspirational one! Candy is also super stoked on the sweet Seismic Skate high production edit by Dan Gesmer (Seismic Skate) and Troy Fairbanks (Goldrock Productions) »I had the best experience and was completely blown away by how many people were rooting for me and feel so lucky to be surrounded by people, and brands, who see the value in promoting female media and encouraging women’s skateboarding. Every bit of female media we can spread helps grow the women’s scene by showing both men and women that, „We can do it!“«. 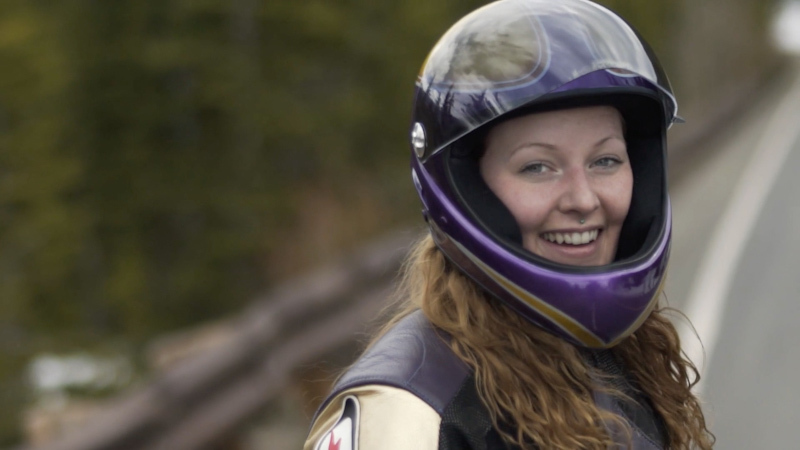 She is also very excited to see the women’s racing scene grow »The numbers but also in skill. There’s a lot of up and coming girls who are not afraid to race hard. That’s what I learned this year. Especially at Whistler all the girls were throwing down hard!!«. Today she is challenging the big brands like Landyachtz Longboard and Moonshine MFG to also produce a high production edits of their female team riders like Kaylene Beatty and Victoria Waddington. 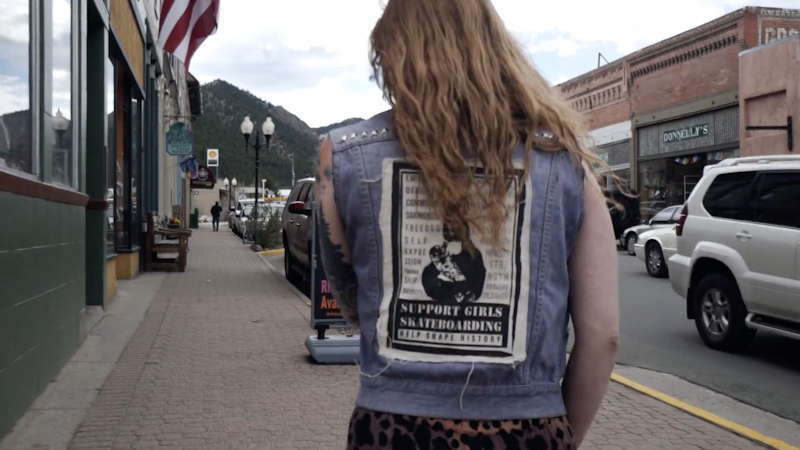 Indeed – we’d like to see more female skate media and more female role models! 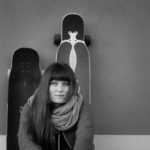 Maria is a graphic designer and photographer and started the photo project Girls in Longboarding 2014 and S*pin 2015, she’s also co-founded GRRRLS* can skate and is a part of the Women’s Longboard Camp.